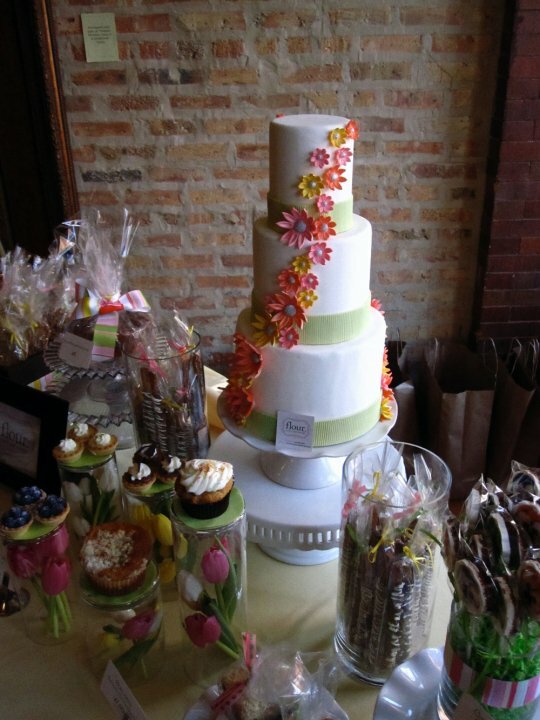 For this Pastry Market we decided to use Spring as out inspiration and make the table design very fresh and fun. Here are a few images of what Just Say Yes Events designed for Flour Cake & Pastry. 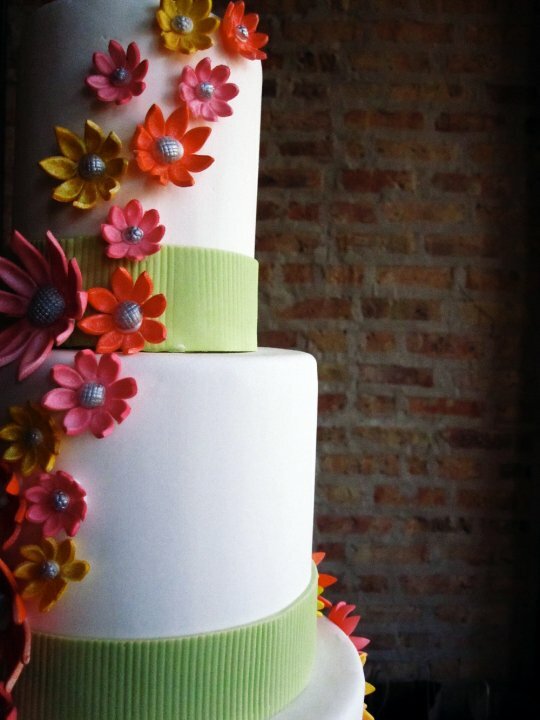 Gorgeous cake designed by Janet Lee of Flour Cake & Pastry. Table design by creative director Barbara Medina of Just Say Yes Events! Table design by creative director Barbara Medina. 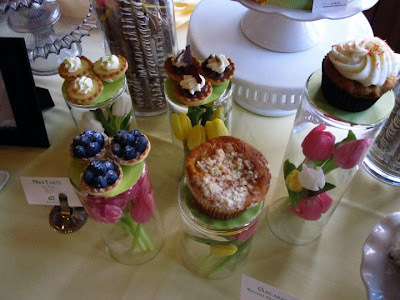 The design included clear cylinder vases turned upside down to create a mini pedestal for the pastries. We then added tulips inside the vase to create the illusion of a floral arrangement.....Who knew flowers looks so good under a vase! Delicious fruit tartlets by Flour Cake & Pastry. 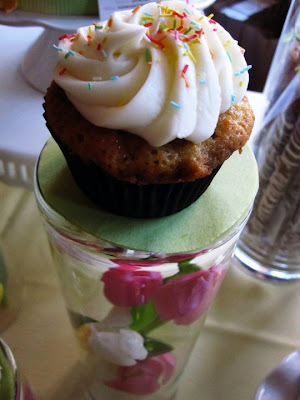 Little cupcake on a pretty little pedestal! 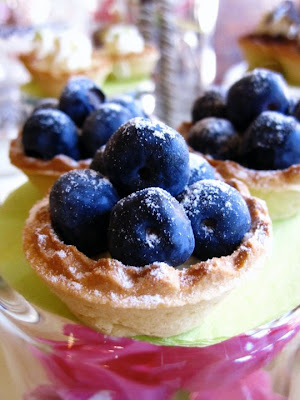 We added small circles of chartreuse tissue cut into circle to create a pretty little pedestal for the treats to sit on. 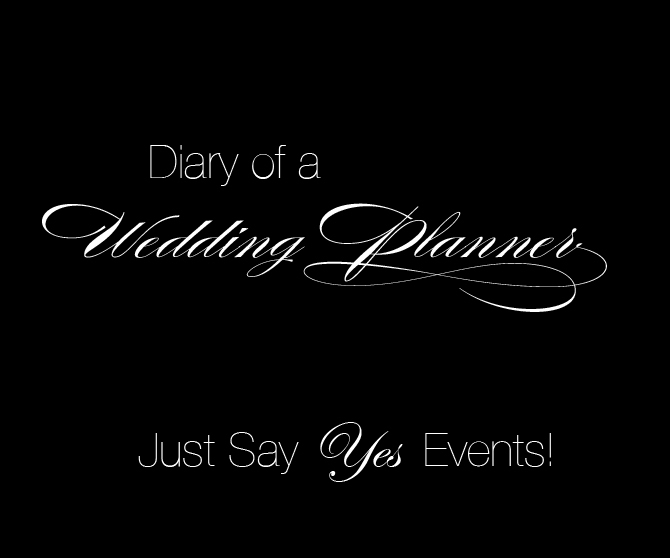 Images By: Just Say Yes Events.